This weekend saw the inaugural event, the Orwell Wheelers 2 Day take place in Wicklow. Having ran as a one day event in the Phoenix Park last year, they decided this year to extend it to a stage race, running three stages over two days. Stage 1 was an Individual TT, run over an 11km course. Stage 2, an 80km Kermesse – this stage consisted of 10 laps of an 8km loop with a nasty hill to be negotiated on each lap. Stage 3 was a 108km road race. During this race, the riders had to complete 4 laps of a 27km lumpy circuit with a significant climb on each lap. 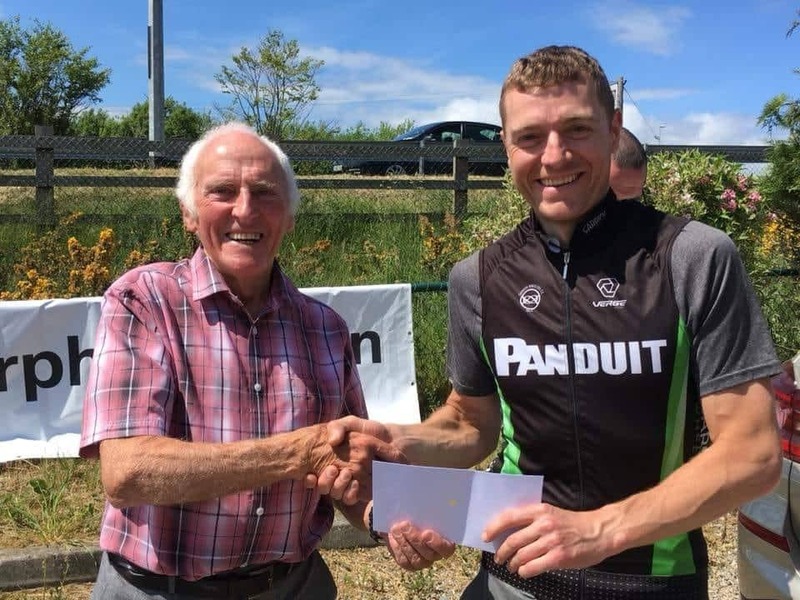 Panduit Carrick Wheelers were represented by two riders, John Hodge and Martin O’Loughlin. Stage 1, the TT, took place on Saturday morning. At the end of the rolling 11km course, Hodge was placed 16th overall with O’Loughlin finishing in 21st place. The stage was won by our past club man, Michael O’Loughlin who is now riding with UCI Continental Team Wiggins. Saturday afternoon saw the start of Stage 2. The climb caused the race to split with the break getting away and staying away on the 3rd lap. Hodge was lucky enough to make the break and was on hand to contest the finish and came away with 2nd place. The 3rd stage kicked off on Sunday morning. The break went on the 2nd lap over the top of the second climb. John Hodge was well positioned when the split happened and got into the break again. The 10-man break worked well together right up to the finish. When the line eventually came, Hodge managed to take 3rd place in the sprint. In the final round-up of all stages, John Hodge came away with 3rd place overall for all of his efforts over the weekend. Martin O’Loughlin finished in 49th place.